The Wisconsin Milk Marketing Board says that at last look, the dairy industry was bringing in over $43 billion to the state’s economy, with much of the credit due to the almost 1.3 million cows on 9,520 licensed dairy farms. On average, each of those prolific bovines produces 2,739 gallons of milk a year—and, of course, many pounds of something else that must be disposed of accordingly. 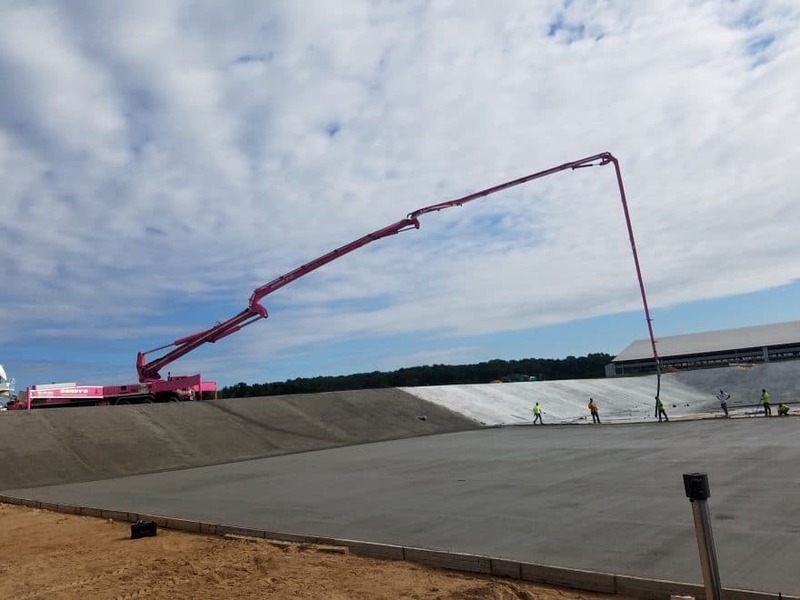 That’s no small feat, but it’s something that a construction company known as Milis Flatwork is very capable of handling in Wisconsin and the surrounding states. Owned and operated by 28-year-old Dylan Milis in the east-central village of Kaukauna, Wisconsin, Milis Flatwork’s specialties include building the shallow, acres-wide concrete pools where farmers collect the cattle manure for environmentally friendly disposal. It’s a sensitive operation, one closely monitored by the state’s Department of Natural Resources, and that’s just fine with Milis, who reminds that those very stringent environmental regulations create the need for a business such as his. With those same cows needing to eat, Milis Flatwork also pours the foundation for massive feed pads that keep cattle food out of the mud during rainstorms. 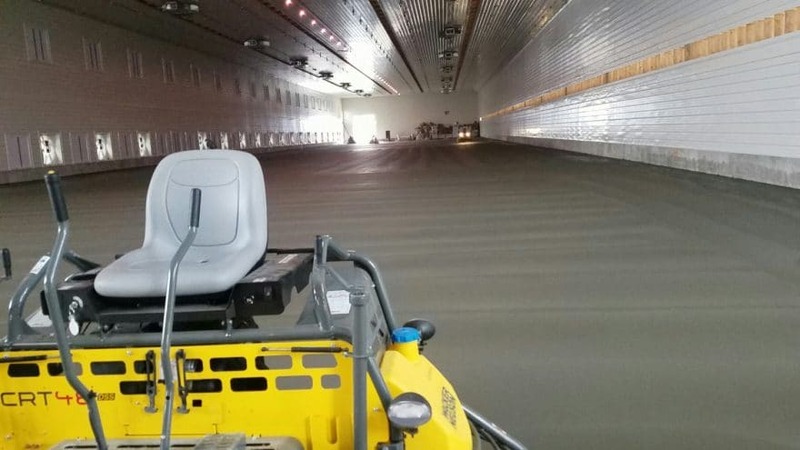 The company also pours pole barn floors, retaining walls, loading ramps and barns for all kinds of livestock, finding many uses for its Somero S-15R high-performance, laser-guided screed that can provide flat or sloped floors and three-dimensional services in little time. 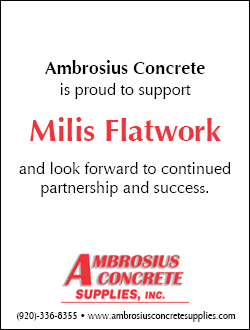 “We’re Wisconsin’s agricultural concrete specialist,” Milis assures, and to him, the label came rather naturally. A University of Wisconsin-Platteville civil engineering grad, Milis has been pouring concrete since he was a teenager, learning much of the trade from his late dad who’s remembered in his son’s every project. Kidney cancer having claimed the elder Milis, his son pledges to donate a penny per square foot of poured concrete toward research of the disease, and with projects often running the gamut from 100,000 to 300,000 square feet, those cents add up to much more than just small change. This charitable endeavor illustrates the personal touch that’s so in keeping with Dylan Milis’ modus operandi. It also seems like business as usual in the Heartland, where reputations spread like fertilizer. Given his still young age, it can be funny hearing Milis talk about his early days at the company, which has only been around since 2010. Back then he proved quite the salesman, going from farm to farm, persuading the men and women in charge that they could trust this still boyish-looking young man to lay down the concrete for waste management and feed storage. Seven years and around 10 million square feet of concrete later, they’re calling on him, and he’s as much friend as he is contractor. They get together regularly over breakfast, with the fixings including farm-fresh eggs, cheeses and, of course, milk. And the secret to the success of a company that’s able to serve so many farms with just a crew of a dozen? No real secret, Milis answers. And it’s not all farm-related projects that Milis Flatwork handles. The company is just as capable of industrial and commercial flatwork that may be a new or upgraded foundation, basement floor, warehouse, grocery store, parking lot or “superflat” floor with particularly tight tolerances. Like dairy farms, big-box stores also require paving, and Milis Flatwork serves their needs, as well. As the farming industry changes, it creates new possibilities. Goat farming has become a growing industry in Wisconsin, and last year Milis Flatwork was called upon to build accommodations for 7,000 such animals. Farmers in Calumet County, which includes a sliver of Kaukauna, proclaim they reside in the Goat Capital of the USA, and Milis Flatwork is proud to further the claim. 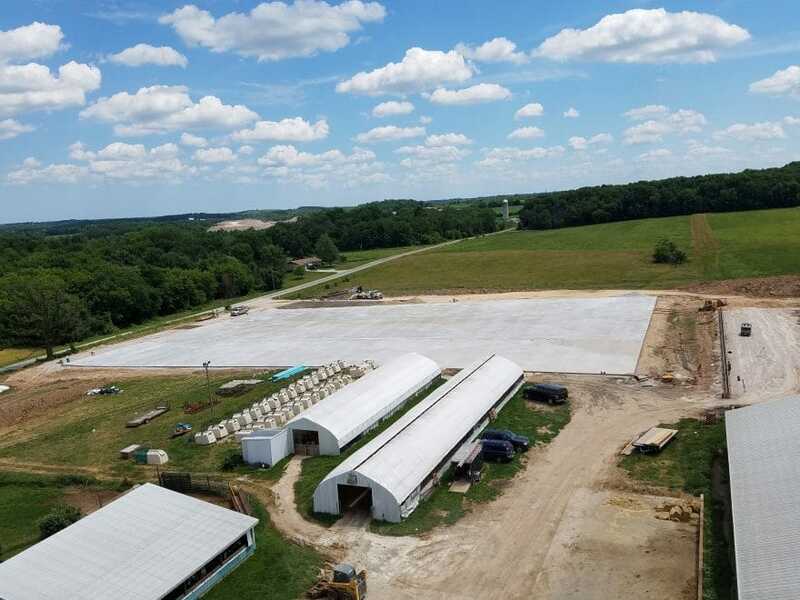 Several months of boots-on-the-ground work produced a 280,000-square-foot goat barn that included 2,000 square feet of paving, 4½ miles of litter alleys and an immense stacking pit. More such opportunity seems likely for Milis Flatwork as Wisconsin’s dairy industry adjusts to meet a rising global demand for lactose-free milk, yogurt and cheese. The last time any kind of national goat census was conducted, in 2012, Wisconsin led with 44,000—almost twice what it had been a decade earlier—and the number surely has increased since. Meanwhile the traditional dairy market has been in something of a slump lately, with the price of milk falling, but that seems just a typical industry fluctuation. Whatever the beast it comes from, milk is too valuable a commodity to stay down for long. And regardless of the current state of markets, those 1.3 million cows have got to be accommodated along with the growing number of goats. All of which should provide continued work for Milis Flatwork.